I’ll start with the good points. What attracted me most to the book is the main plot, though somewhat reminiscent of Kane and Abel (which is one of the best books I’ve read in my entire life!). The novel follows the lives of two twins separated at birth, Nathaniel Cartwright and Fletcher Davenport, both raised in different worlds; one was brought up in an affluent family, while the other, middle class. Both of them thrive in their respective professions until a murder case and a political battle brings them together. 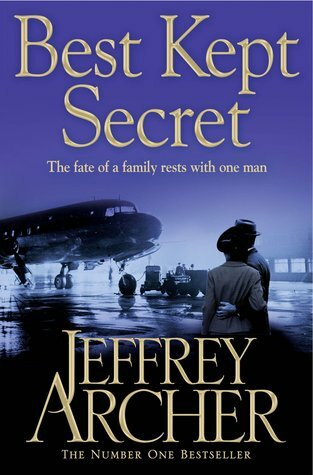 Jeffrey Archer’s writing is very easy to read and I was easily immersed into the lives of both characters. It is undeniable that Mr. Archer is a master of mixing power, politics and relationships and turns them into good fiction. I feel that the story is too contrived, predictable and cheesy at times and it can get a bit confusing when the story alternates between the two characters. The only thing that keeps me going was my curiosity and anticipation for Nat and Fletcher to finally meet and discover the truth about their births. I've never read Kane & Abel but you've got me curious! Thanks for the great review! Lazy Girl: Yeah, I realize now that it's counter-intuitive to put the comment link at the top of the post. Hmm.. let me figure out how to put it at the bottom. Anyway, I totally recommend Kane & Abel.